Posted March 13th, 2016 by Mike Boyes & filed under Child Development, Early Social and Emotional development, Human Development, Language Development, Language-Thought. Description: There is pretty solid research evidence showing the cognitive developmental advantage among children who learn more than one language. More recent research, some undertaken by the author of the article linked below, looked at the relationship between being bilingual and the development of social skills. Before reading the article think a bit about what you might hypothesize about this relationship, then read the article and see what the author has to say. Source: The Superior Social Skills of Bilinguals, Catherine Kinsler, Gray Matter, Sunday review, New York Times. We know that bilingual children seem to enjoy certain cognitive benefits in the areas of executive function for example which provide them advantages in problem-solving and other mentally demanding tasks. To research studies mentioned in this linked article went further and looked at the possible impact of bilingualism on children’s social development specifically for study looked at what a master perspective taking among 4 to 6-year-old children who are either bilingual or unilingual and found that the bilingual children performed better than unilingual children. In addition the study seem to indicate that simply being regularly exposed to another language without necessarily acquiring it as one of one’s own spoken languages is equally beneficial in the area of social perspective taking. The author of this linked article goes on to describe additional research shows the cyst this advantage may go back even earlier and development. In a soon to be released study they demonstrated that 14 to 16 month old babies exposed to more than one language also seemed to show more sensitivity to the social contexts in which they were being asked to complete particular tasks. This research not only speaks to the potential advantages of learning more than one language but also focuses on the important role of social context in the development of social adeptness or skill. What where bilingual children in both of these studies that are at that unilingual children? 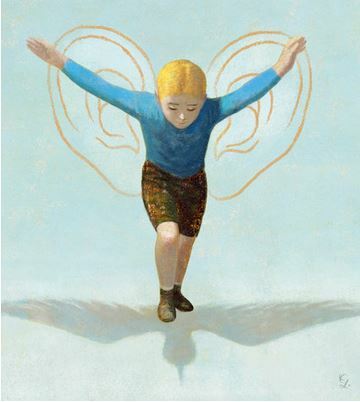 What might it be about early exposure to more than one language that would provide bilingual children, or children simply exposed a second language, with the developmental advantage in the area of social skill? What sort of things might these results suggest in terms of what we might tell parents to consider when taking about the sort of social environment there soon to arrive infants will be growing up in? Fan, S. P., Liberman, Z., Keysar, B., & Kinzler, K. D. (2015). The Exposure Advantage Early Exposure to a Multilingual Environment Promotes Effective Communication. Psychological science, 26(7), 1090-1097.